Gates and Fences UK, we are the biggest, tailor made, wooden and wrought iron gate makers in the United Kingdom. We produce all of our gates by hand utilising traditional, age worn procedures to make beautiful, durable gates. we are members of the "Made in Britain" campaign, so you can be sure that all gates sold by the Gates & Fences Group have been hand made here in the UK. We have two large factories based in South Devon and a delivery network that covers all of mainland UK. At the Contemporary Fencing Company, we care about your privacy. 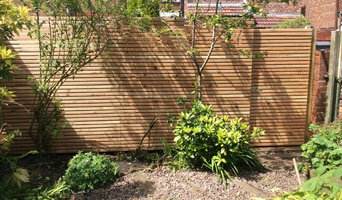 Specialising in the design of quality horizontal slatted cedar fencing, all of our fences are handmade by a team of local craftsmen in our Whitstable workshop. All products are made from sustainable sources using a combination of careful consideration, creativity and quality craftsmanship. We offer a range of standard slatted fence panels, and can also produce wood panels to bespoke requirements, covering the whole of the UK. If you’d like to receive a complimentary quote, get in touch with us today! If you’re interested in an electric gate for your property, Portcullis Electric Gates has a wealth of experience and a broad range to cater for your individual needs. From our Farnham base, we serve Surrey and the surrounding counties, manufacturing, installing and maintaining gates for a wide range of private homes, developments and commercial properties. Choose from our existing range or add your own individual flair with a custom-made gate. 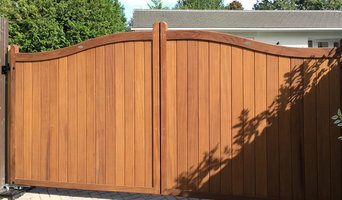 Our experienced engineers will build and install your gates to the rigorous high standards that you expect and deserve. We’ll also take care of the extras, like intercoms and hard landscaping, and we’re here for you in the long-term for on-going maintenance and servicing. 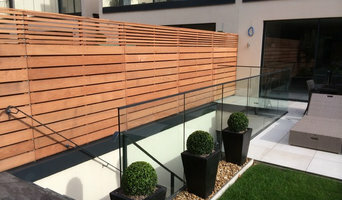 Established in 1947 with headquarters in Kent and additional manufacturing and sales operations in both Bath and Chester, Jacksons Fencing has grown to become one of the most influential and respected businesses in the design, manufacture and installation of fencing and automated access control systems in Europe. The company proudly remains family-owned and today employs over 240 staff. Jacksons Fencing is unique in that it offers the most diverse variety of complimentary products ranging from attractive timber garden fencing, gates and structures to steel vertical railing and mesh fencing systems, noise reduction barriers through to LPCB (Loss Prevention Certification Board) and PAS 68 certified, CPNI (Centre for the Protection of National Infrastructure) approved and Secured by Design preferred high security perimeter protection products. Bradbury Contracts is a Fencing & Landscaping business built on over 40 years of family tradition throughout the generations delivering unrivalled quality. 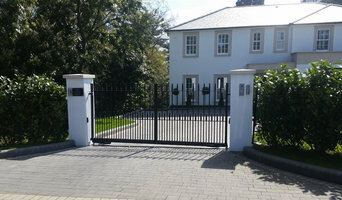 Penchard UK design, manufacture & install automated entrance gates. Whether you are looking for Timber or Metal, we have our own in house woodworkers & blacksmiths to create your dream Gate. Using our extensive knowledge & paying attention to detail, we have built up a huge client base which includes home owners to house builders & Architects. We offer market leading acoustic fencing to suit all commercial and residential applications. Our acoustic fencing has been fully tested and certified and is Category=B3 rated, it comes with a minimum life of 25 years against rot and insect attack. 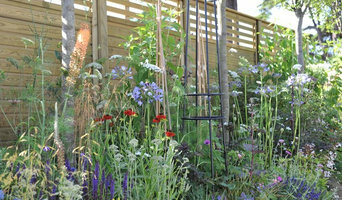 We also supply standard garden fencing and gates. Call us for details. Mister Gates Direct, UK's largest choice of aluminium gates and fences under the brand EMALU. Widely recognised by professional wholesalers and installers throughout Europe. Mister Gates Direct offers you quality access gate and fencing made of 100% recyclable aluminium to suit all your requirements at the best value for money available on the market. Delivery Direct Factory. All Weather Fencing Essex are a first class supplier and installer of quality garden fencing and gates. Based in Essex, we cover Basildon, Benfleet and the surrounding areas. We can also supply and install all types of security and agricultural fencing. We have 16 years experience and provide our quality fencing at competitive prices to both domestic and commercial markets. All our work comes with a 5 year guarantee. All our timber and panels are pressure treated, our concrete posts and gravel boards are made wet cast to provide a high quality finish. All posts contain steel reinforcing to the required specification. Established 1865 we are a family owned timber merchant and sawmillers. The business uses the trading name of PRO Fencing for the Fencing supply and Installation division. Our product range is wide and includes Bespoke Gates, Solid Hardwood Worktops, Bar Tops and Table Tops. Restoration Timbers in Oak. We are able to create or replicate customers profiled timber, this maybe skirtings, door or window componets. All the tooling is made in house. Cladding is a very popular material for finishing the exteral faces of buildings both domestic housing and commercial. We supply and install fencing of all types, working is an area generally of 50 miles radius of our two bases in Petworth and Farnham. We are UK distributor for Rapold GmbH who hand cleeve roof shakes in Oak and Larch.